Welcome to the latest installment of Eco-Friendly Beauty! I’ve been trying my best to cut down on the amount of waste in my everyday life, so I’ve started with beauty products. 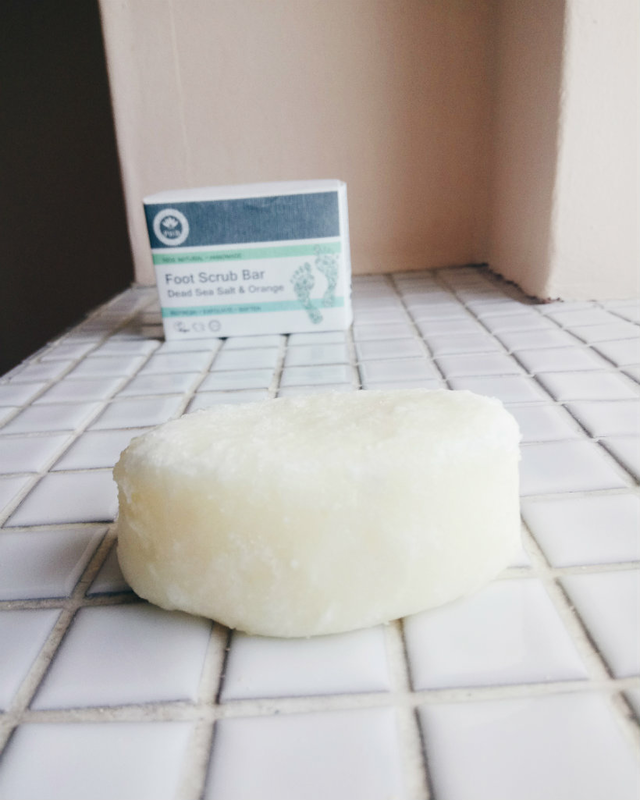 In today’s post I’m going to talk about solid soaps and scrubs. Until recently they were products I’d never really considered using, soap because I have vivid memories of getting a rash from a bar of Dove when I was little, scrubs because I thought they’d be a bit of a faff. But things change. I’m keen to cut down on the amount of pointless packaging and plastic I use — switching to solid shower products is a simple step to take. Fortunately, it doesn’t have to be an expensive one. PHB Ethical Beauty make a range of soaps and scrubs, with all of them leaving you with change from a fiver. They come in boxes made of card, so while they’re not completely free of packaging, there’s also no plastic (and the card can be recycled). I was never a fan of soap until I tried PHB’s offerings. 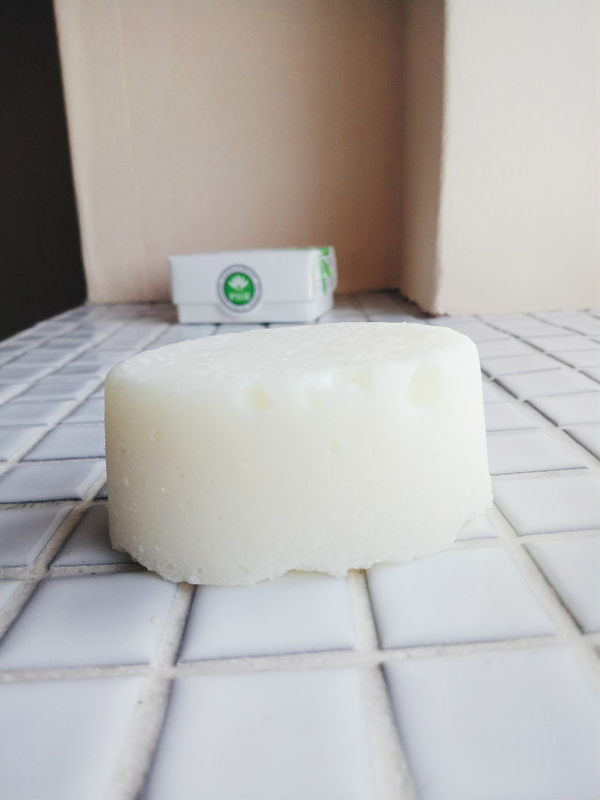 There’s a difference between what they have to offer and your standard supermarket soap — there’s no animal fat, no palm oil, and this one is scent-free. (If you want something with a fragrance then I highly recommend the grapefruit one.) The base of all the soaps is a mix of shea butter, olive oil, and coconut oil, so it’s quite moisturising, although I still like to use some kind of lotion afterwards. 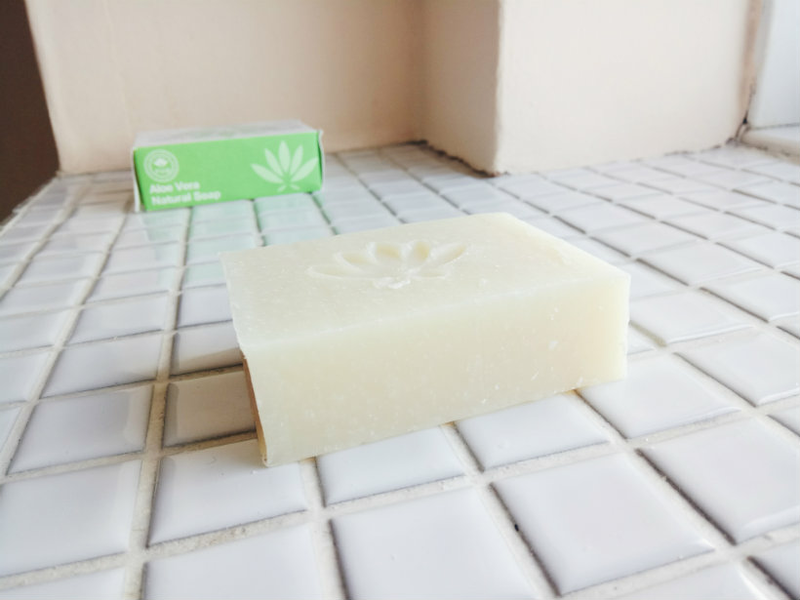 I use the Aloe Vera soap in place of shower gel, massaging the bar into my skin to create a lather. It won’t foam up quite as much as your standard shower gel but it’s effective all the same, gently cleaning the skin with drying it out. A little goes a long way and my bar has barely shrunk since I started using it in July. I can’t see myself going back to bottles of shower gel once I’ve used my existing collection up. I’ve hunted high and low on the LoveLula website for some kind of budget soap tin and I can’t find one, so I’d suggest either storing the soap in its original packaging, keeping it away from the bathroom and any wet surfaces, or buying a non-plastic container elsewhere. This is surprisingly robust for something made of delicate sugar. It’s on the scrubbier side, so make sure your skin is soaking before you use it — the bar can feel scratchy if you go in with too much enthusiasm. I massage into the skin in circular motions and there’s something very satisfying about sloughing off dead skin, particularly on elbows and knees. You can’t smell the avocado or olive, but this is a moisturising product so their presence is noticeable. Unlike the soap, the Sugar Scrub wears down quite quickly. It’s not an everyday product, so mine has lasted a good few weeks and will probably last one or two more, but it’s something to bear in mind. The skin on my heels is rough. While my feet are in a slightly sweeter state now I no longer dance en pointe on a regular basis, they’re still not pretty. (Are anyone’s though?) So finding an exfoliator that actually, well, exfoliates them properly isn’t always easy. The Foot Scrub Bar works, though. The dead sea salt helps to soften tougher areas like the heels and because the skin there is less delicate, you can be a little rougher. It’s not a miracle cure — my feet aren’t baby-soft just yet — but I can see an improvement. And the salt cuts through the orange to create a delightfully earthy scent. So what if you want to start using solid shower products too? I’d recommend trying a soap bar first. They’re reasonably priced, last for ages, and can be used to wash your hands if you decide it’s not your thing. Have you tried solid shower products before? Would you ever use them on a regular basis? Let me know in the comments! Products were sent to me by LoveLula for consideration of review. As always, all words and opinions are my own.